Increase the percentage of high school girls planning to pursue STEM careers. Increase the percentage of young women pursuing undergraduate degrees in STEM fields. Increase the percentage of women staying in STEM careers. Million Women Mentors is an engagement campaign and national call to action that mobilizes corporations, government entities, non-profit and higher education groups, around the imperative of mentoring girls and young women in STEM fields. In TN we have a strong steering committee of these organizations that has been assembled to get people involved. In addition, Lt. Governor Ron Ramsey has agreed to serve as the Honorary Chair of the state group as he believes that this effort will continue to improve the economic and workforce efforts in the state. “I am proud to support the Million Women Mentors initiative in our state and look forward to the positive results it will bring. With evidence showing a lack of women and girls entering STEM programs and careers, it is more important than ever to translate strong STEM outreach and advocacy into action. I encourage the people of Tennessee, corporations and STEM-serving organizations to support MWM by taking the ‘pledge-to-mentor’.”, Lt. Governor Ron Ramsey. Lulu Copeland, Manager, Extended Technical Education and Training Engineering Technology Division Chattanooga State Community College, Lulu.Copeland@ChattanoogaState.EDU and Judith Iriarte-Gross, Professor of Chemistry and Director of the Women In STEM Center at MTSU, Judith.iriarte-gross@mtsu.edu, serve as co-directors for MWM in Tennessee. Who was your role model or mentor? Who inspired you to pursue your career path? Most of us can think of at least one person that mentored us; unfortunately, we can usually think of many more that discouraged us. Often kids are discouraged by well-meaning adults who do not possess the proper tools to effectively motivate and communicate with students. That is why is it so important for all adults who interact with children to be properly trained as an effective role model. Role Models Matter is for parents, teachers, STEM professionals or any adult who is interested in impacting girls and all students in a positive way. The Role Models Matter training process consists of several distinct parts, each with engaging, interactive activities. You will learn and practice being effective role models, and also gain valuable tips and tools for coaching special presenters in classrooms, after-school programs or other student-centered forums. In addition, you will learn techniques to prepare other potential role models to interact effectively with students. The GRITS Collaborative Project has a certified Role Models Matter trainer on its Leadership Team. Contact Maria Toncray at mmtoncray@yahoo.com to learn more! As a result of the various STEM activities developed and initiated by Dr. Iriarte-Gross, she proposed and then established the WISTEM Center in July 2009. The mission of the Center is to enable the campus and the community to realize the intellectual potential and utilize the expertise of women in the STEM disciplines. WISTEM is the home for all the outreach activities such as EYH, GRITS, WISE, and now the Tennessee initiative for Million Women Mentors! Partnerships have been established with SciGirls (PBS television) and with Role Models Matter of Techbridge. These two outstanding programs provide educators, Girl Scout leaders, industrial and government STEM professionals, and informal STEM institutions with knowledge needed to mentor young women in STEM. 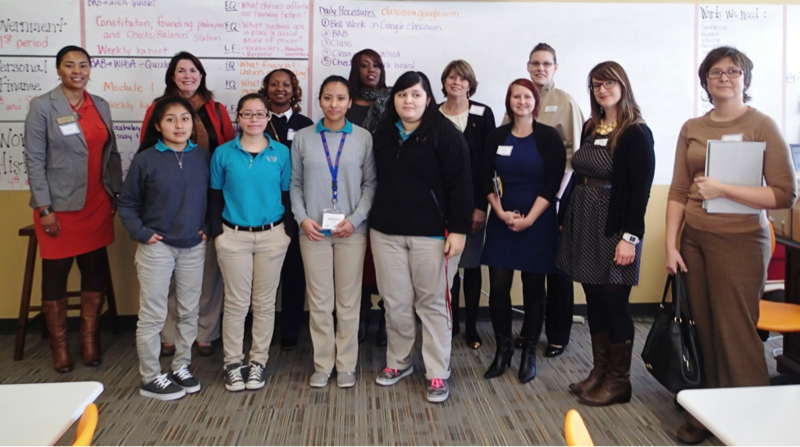 A collaboration with Nissan North America and Microsoft resulted in the first DigiGirlz Day in March 2013. The 2015 middle Tennessee DigiGirlz is scheduled for February 28, 2015. Dr. Iriarte-Gross and WISTEM Advisory Board members mentor undergraduate and graduate women by providing leadership opportunities and by guiding them as they organize and host various WISTEM sponsored events on campus. Young women are encourage to reach back and mentor others as they move forward in their education and career. Providing diverse leadership opportunities for college women is just one innovative mentoring activity offered by WISTEM. As a mentor for CGLA, Lulu Copeland, coordinates visits for students and professionals. On October 15, 2014, these seniors from CGLA visited Unum, a life, disability, and accident insurance company in Chattanooga. 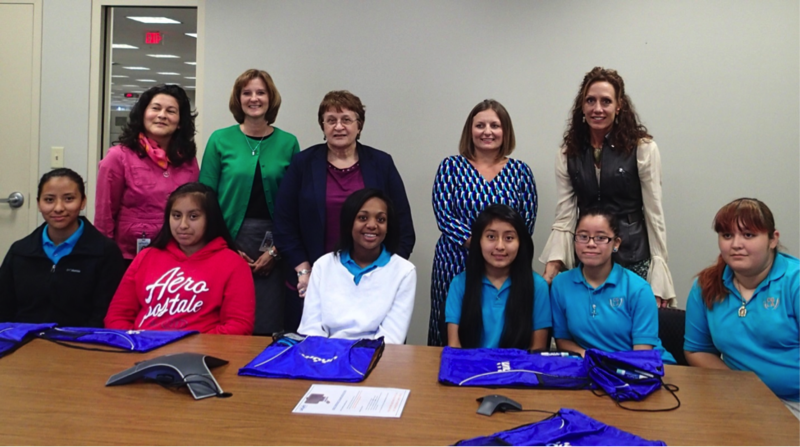 The women professionals shared their education and career experiences and chat with the girls about their hopes and dreams. 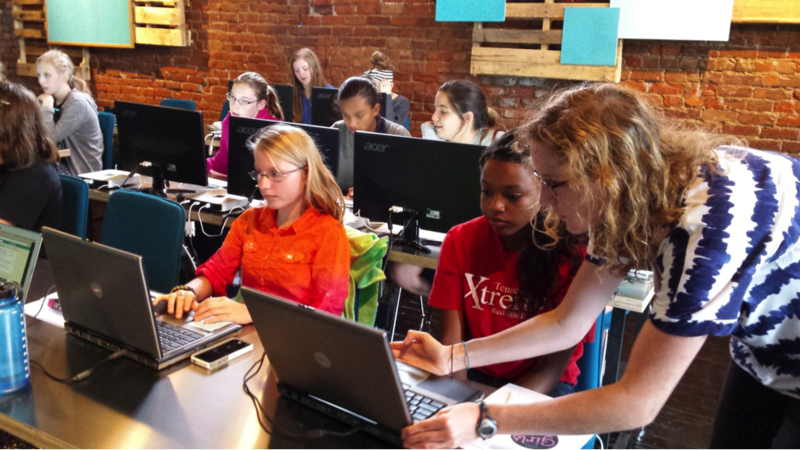 As part of Startup Week Chattanooga, TN Code Academy hosted a “100 Girls of Code” workshop for Chattanooga females. The free computer programming workshop brought in 30 girls, ages 12 to 18, from across the city. Girls were mentored and instructed by other female programmers to create video games and websites. The event took place at AIR Labs, an after-school program where students can learn the basics of programming. Chattanooga Girls Leadership Academy is an all girl charter school, and the first STEM school in Chattanooga. Lulu Copeland as board member and chairperson of the STEAM committee organized a lunch visit and tour to recruit mentors.